I know that Christmas is over but I just love the Cookie Cutter Punch form Stampin Up’s Holiday Catalogue. It has been my favourite punch with coordinating stamp set of the catalogue. I have used it to create so many cards and projects this year and it will definitely be a keeper for me! I am sharing two of my favourite projects using this gorgeous punch for the Caseing the Catty challenge this week. 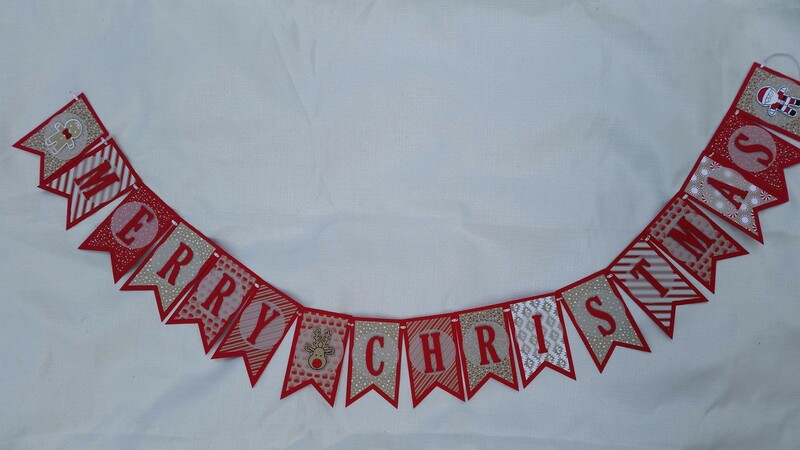 I have seen many variations of these Christmas Banner’s this year. Below is my take on the Christmas Banner. This is such a cute Card in a Box and was a lovely gift to give at Christmas. 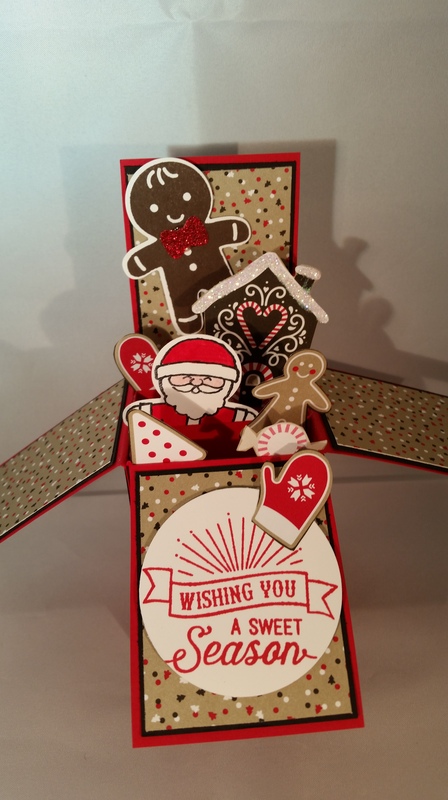 Both projects used the Cookie Cutter Punch, Cookie Cutter Christmas stamp set and the beautiful Candy Cane Lane Designer Series Paper. I hope you enjoy these projects as much as I do. Love your banner and the box is amazing!!! Thanks for linking up to Case-ing the Catty!! I love 3D cards and this one is super cute. Thanks so much for joining in at CTC. Gorgeous projects. I agree that the cookie cutter punch is totally fabulous for all these great Christmas projects. Both of yours are fantastic. So glad you joined the fun at CASEING THE CATTY. Who can go past a Card in a Box??? Yours is just gorgeous and so much fun with all those elements from the DSP. I’m a fan of a banner too but didn’t get around to making one this year. Yours is bright and lovely. So glad you joined us.